The Screamer Water slide will have your guests screaming with glee as they slide down the 36' long slide! This unit is one of our largest inflatables available, and it is always a hit during summer parties or events! 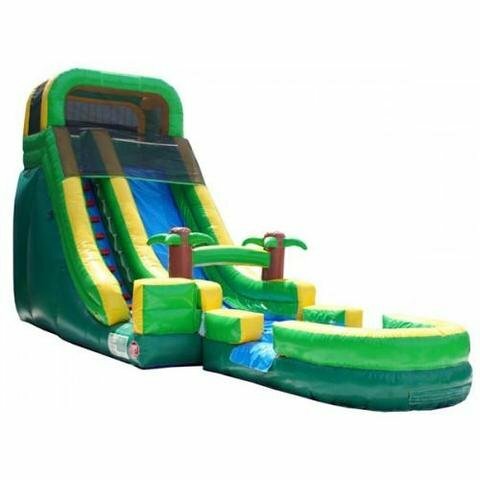 Provide a rush of adrenaline to your guests with our Screamer Water slide W/Pool. Reserving an inflatable for a Saturday party? Be sure to note in the order form if Friday delivery works for you as we are sometimes able to deliver a day earlier, and at no extra cost to you.